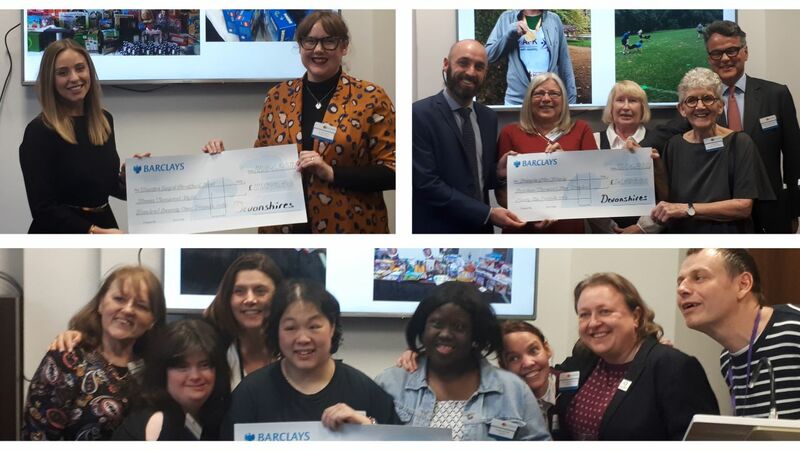 On 11 April, Devonshires held its annual charity cheque presentation, recognising the amazing work and achievements that our three partner charities do. We welcomed my AFK, Friends of the Elderly and Theatre Royal Stratford East to our London Office, presenting them with cheques reflecting the fundraising that we have undertaken over the past year. We managed to raise a total of £47,462 for all three of our partner charities over the 2018/19 financial year, which will help to support our partner charities to continue their invaluable work. From taking part in triathlon relays to organising charity bake sales, we want to thank all of our generous staff and supporters who have had a helping hand in raising this total. CSR is an important part of our culture, and we are proud of the work that we do to help transform the lives of so many people. The initiatives that we undertake provide those who need help with vital services and support, and we are honoured to provide these charities with all the help they deserve.